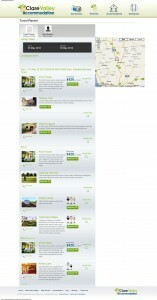 Great new visual improvements have been made to the Clare Valley Accommodation website. 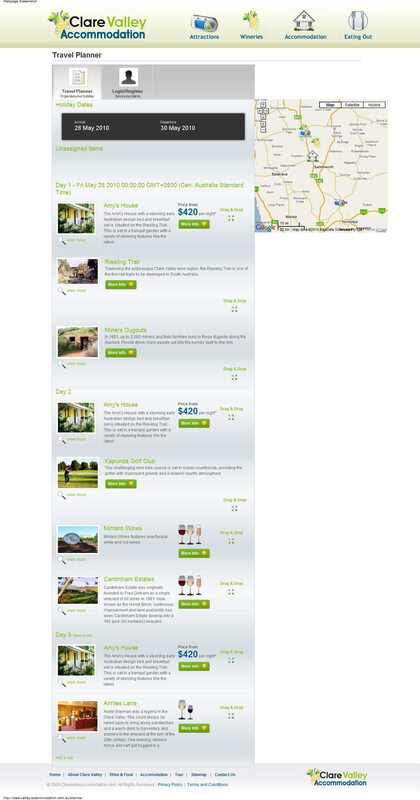 Now it will be easier for you to map out your holiday to the Clare Valley, one of South Australia’s beautiful wine regions. Simply drag and drop your items to the set days, and it will be mapped out for you. Great news also, soon Accommodation Barossa Valley will be going live, with the same great features as Clare Valley Accommodation has.